We are big pasta eaters, and I'm glad. Creating pasta dishes are some of the easiest meals to prepare, and the variety is endless. It can have the authentic Italian taste, or infused with Asian and Filipino flavors to make it unique and more interesting. 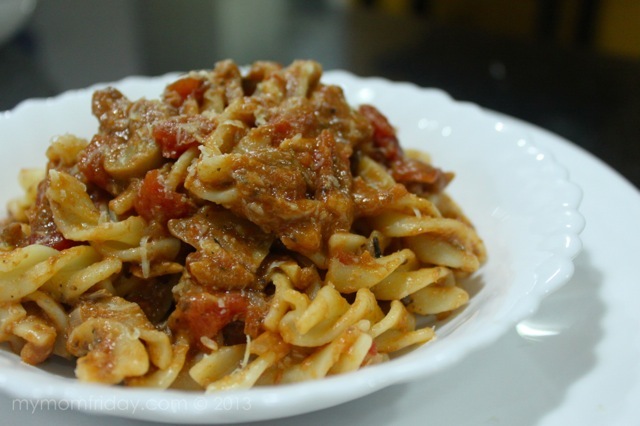 My kids enjoy their pasta dish in tomato sauce, either with meat or seafood. 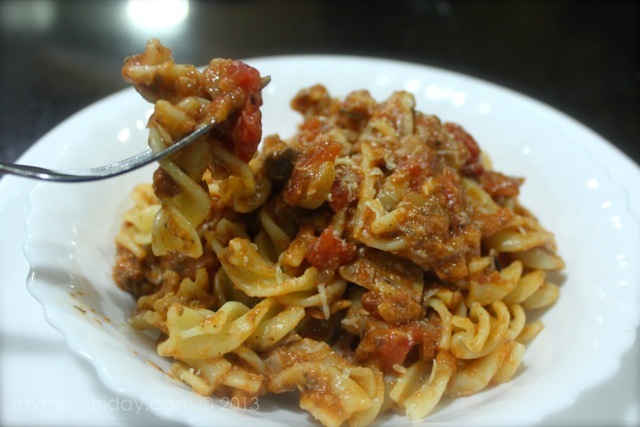 One of the variations I've done with spaghetti bolognese is using tuna instead of beef. Just recently, I was able to try a pasta dish with Mega Creations Sardines - in Natural Oil and Spanish Style. We buy several brands of sardines in tomato sauce, and Mega Sardines is one of them. We're used to having sardines with bread as sandwich filling. When there's no time to prepare a second or third dish for lunch or dinner, I just open a can, add some juice of calamansi, and it's ready to serve with steamed rice. Once, I used a Spanish style sardine on toasted baguette with kesong puti, and it's so good! 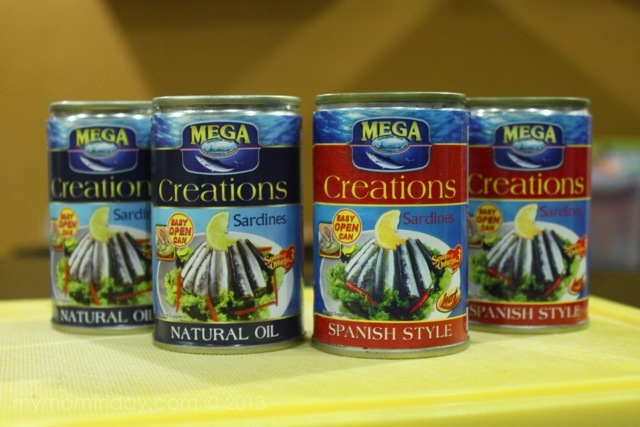 I'm delighted that Mega Creations has introduced creative recipes with sardines. It's a healthy alternative to our usual meat dishes. Sardines are known for being a good source of vitamins, minerals, and nutrients, making it one of the healthiest types of fish that you can serve to your family every day. Topping off the list is the sardines’ high omega-3 fatty acid content, which brings with it a myriad of health benefits. 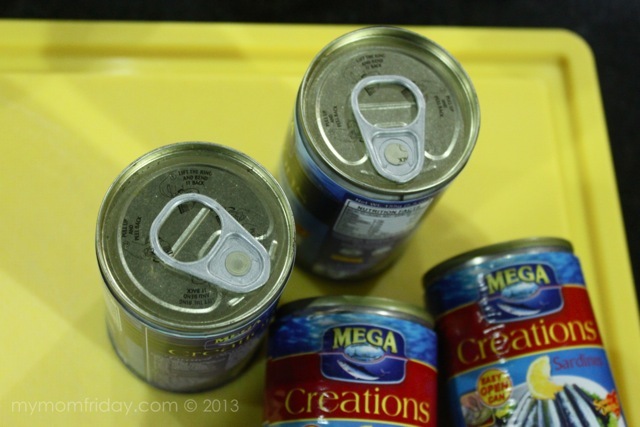 Thanks to Mega Creations, I was able to try these two variants in their super convenient, easy-to-open can. I found their easy-peasy sardine-style puttanesca recipe and was looking forward to serving it some weeks ago. However, the kiddos don't like olives and capers, and they don't like their pasta to be very spicy. So, I tweaked the recipe and came up with this simple tomato-based version for them. Heat a pan and sauté garlic, onion, and basil in oil. Add the Mega Sardines and mushrooms, and continue to sauté. Pour chunky tomato sauce and simmer for a few more minutes. 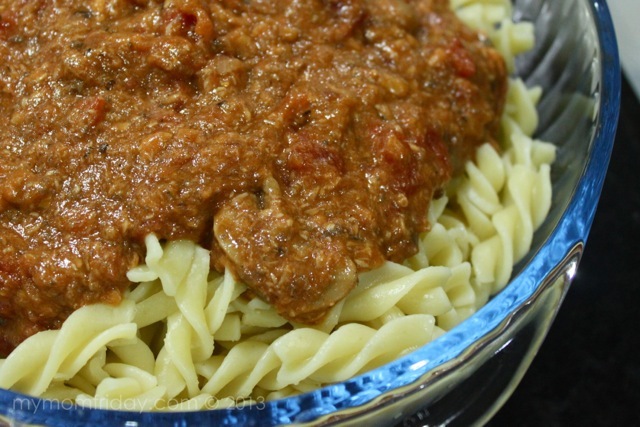 Toss sauce over cooked fusilli and serve with parmesan cheese, if desired. As expected, they ate it and did not even notice it's made with sardines! It only took less than 30 minutes to prepare. If it were just me, I want to try the Mega Creations Puttanesca recipe, which you can find here. I'd use Spanish Style sardines to make it spicy, and add fresh basil for a more aromatic sauce. 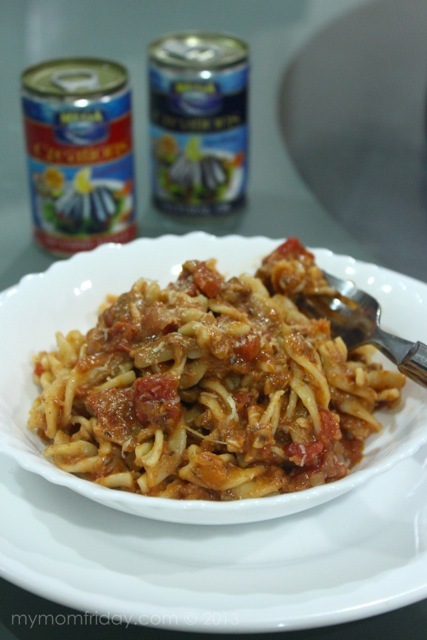 Go ahead and try my express pasta recipe with Mega Creations Sardines. It's easy, economical, and healthier too! 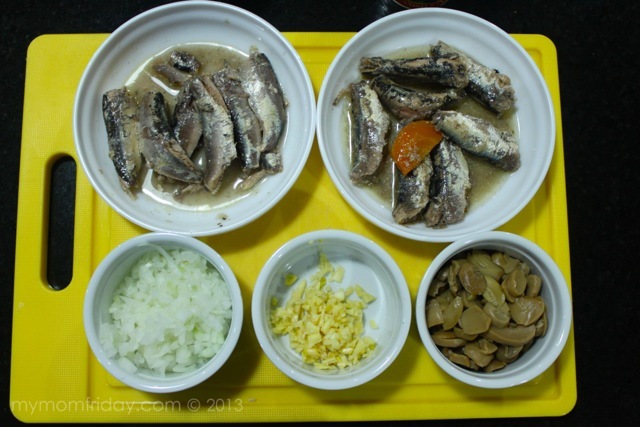 What dish have you tried making with sardines? My Everyday Creations page on Facebook.